The open submissions are over, the judges have whittled 1100 works down to just 250. But whether or not your work was selected you can still be a part of our next big exhibition FLY 2016 at the Royal Scottish Academy. 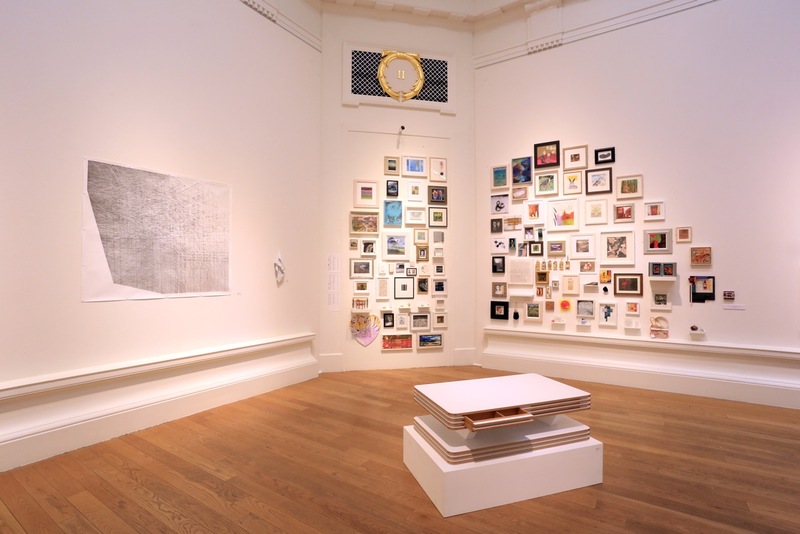 To continue with the recent tradition set by the highly acclaimed ‘Wall of Jewels’ in 2015 and ‘Good Things...’ earlier in 2016 we will once again be curating a dedicated celebration of the work of VAS members. On 26 November we will be welcoming submissions from VAS members for ‘Fly on the Wall’, a loosely themed exhibition of small works. We invite members to interpret this loose title in whatever way you wish, in any media or format. The work will be displayed on shallow shelving to allow buyers to take purchases away on the day, to take full advantage of opportunities for pre-Christmas sales. Each member may submit one piece of work which must be suitable to prop on a shelf 7 cm deep, and with a maximum height of 30cm including frame. If you are not a member already you can join now by visiting our membership page. Prices start at just £20 for associate membership. There is no need to pre-submit your ‘Fly’, just bring it along to the gallery on the hand in day, Saturday 26 November, clearly labelled on the back with your name, the title of the work, the price, and your phone number and email address.